Mr. Hulefeld has operational oversight for all clinical services throughout the system. Mr. Hulefeld joined Ochsner in 1998 as an Administrative Fellow. In 1999 he was named Manager of Musculoskeletal Services for Ochsner Clinic and in 2001 he became Director of New Orleans Satellite Clinics. From there, Mr. Hulefeld was named Vice President of Satellite and Ancillary Services, a position he held for four years. He spent two years as the Chief Operating Officer of Ochsner Medical Center - the flagship hospital in the Ochsner Health System and three years as the Chief Executive Officer. 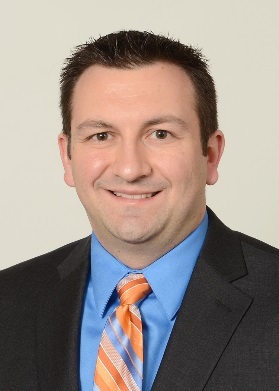 Mr. Hulefeld graduated from Xavier University in Cincinnati, Ohio and received his Master’s Degree in Health Services Administration from the University of Michigan. He serves as a board member of the Stuart Hall School for Boys. Beth Walker serves as Chief Operating Officer for Ochsner Medical Center, and maintains administrative responsibility for the ambulatory clinics and physician group practice for Ochsner Health System’s flagship hospital in New Orleans, Louisiana. Originally from Ohio, Beth joined Ochsner Health System in 2002 as an Operations Fellow, after completing her MHA from The Ohio State University. She has since held various leadership roles in physician practice management throughout the system, prior to taking on the COO role in 2013. In her downtime, Beth enjoys travel, running, yoga and enjoying everything the city of New Orleans has to offer. Originally from New Orleans, Mary Deynoodt currently serves as COO at Ochsner Medical Center-West Bank. Mary joined Ochsner Health System in July 2000 as an operations fellow and has held various leadership roles. Currently, she is responsible for operations of the hospital in Gretna, Louisiana. She is responsible for driving the operational, financial and strategic performance of the facility. Prior to this role, Mary served in leadership roles responsible for physician practice management, inpatient services as well as ancillary services. Mary has a broad base of experience in healthcare operations. Mary holds a BS from Newcomb College of Tulane University and a MHA from the School of Public Health and Tropical Medicine of Tulane University. In her downtime, she enjoys spending time with her family, cooking, reading and jogging. Julie Henry graduated from the University of Alabama with a Bachelor of Science degree in Healthcare Management from the school of Commerce and Business Administration. Upon graduation she returned to New Orleans where she received her Masters of Business Administration with a concentration in Finance from the University of New Orleans. Julie began her Ochsner career as a Training and Development Specialist in the Revenue Cycle Department for Ochsner Health System. She then became a Finance Administrative Fellow in January of 2009. After completing the program, she was promoted to Manager of Medical Specialties for the Neurology and Gastroenterology clinics at Jeff Highway. In January of 2012 she accepted the position of Radiology Director where she was responsible for Operations and Group Practice Management for all Radiology modalities, consisting of Ochsner Medical Center Jefferson Hwy and 9 Southshore Satellite locations. When she was promoted to Assistant Vice President of the Radiology Service Line in 2013, her responsibilities broaden to include the coordination and implementation of a Service Line Strategic Plan, System Imaging Capital Budget Management, Ochsner Affiliate-Growth & Transition Initiatives, Radiation Safety Department and Radiology IS Department. Julie was selected as Management Leader of the Year – Clinical, Ochsner Health System in 2014. Currently she serves as the Chief Operating Officer of the Ochsner Medical Center – Kenner and River Parish. 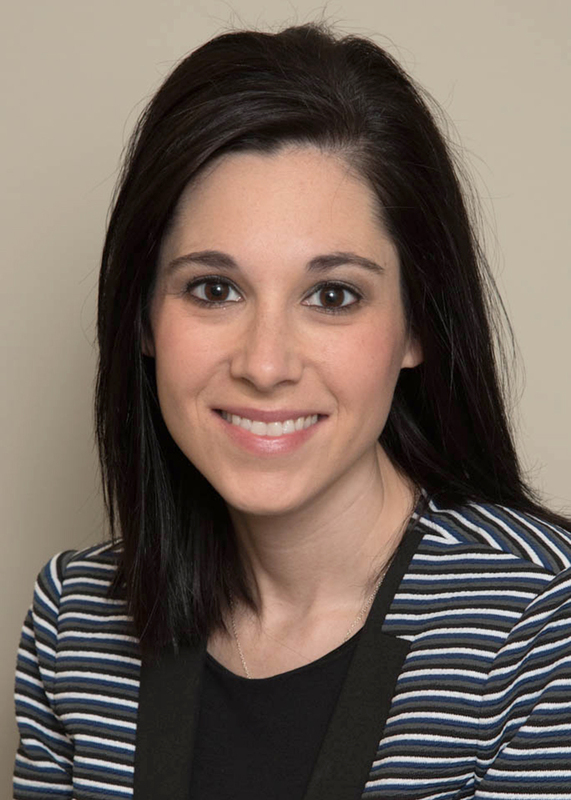 Sarah Roberts serves as the Vice President of Clinic Operations at Ochsner Medical Center on Jefferson Highway. In her current role, Sarah works closely with her physician dyad, overseeing the following departments: Pulmonary, Pulmonary Lab, Nephrology, Endocrinology, Infectious Disease, Dermatology, Podiatry, Palliative Care, Colon & Rectal Surgery, Gastroenterology, Physical Medicine & Rehabilitation, Neurology, Neuro Critical Care, Neurosurgery, Psychiatry, and Endoscopy. Her main areas of focus include access to care, growth, physician relations, and the development of new models of care and enhanced clinic efficiency. 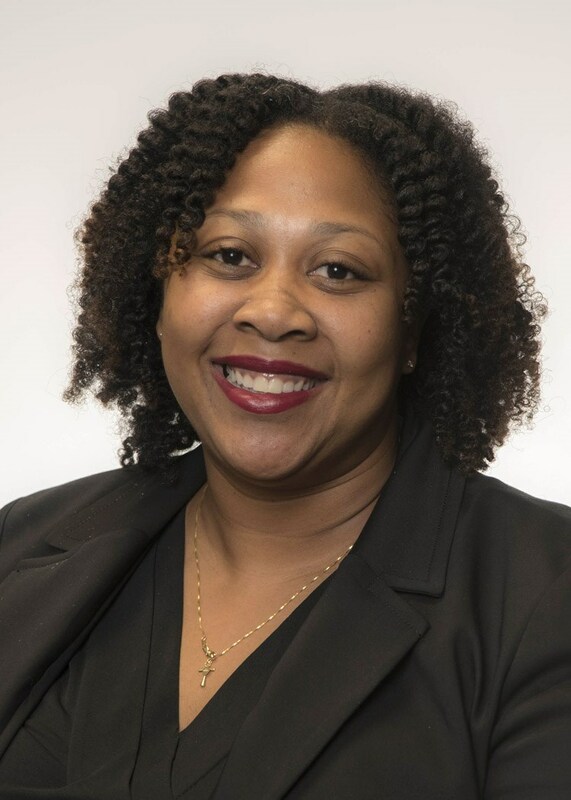 She began her career as an Occupational Therapist before returning to school to earn her Master of Health Administration degree from The Ohio State University. She then relocated to Louisiana to join Ochsner as an Administrative Fellow in 2007. Her past roles at Ochsner have included Lean Management Engineering Leader, followed by Director and Assistant Vice President of Medical Specialties. Operations at Ochsner West Bank. Prior to assuming her role as AVP, she served as Director of Operations, overseeing Primary Care & Medical and Surgical group practices. 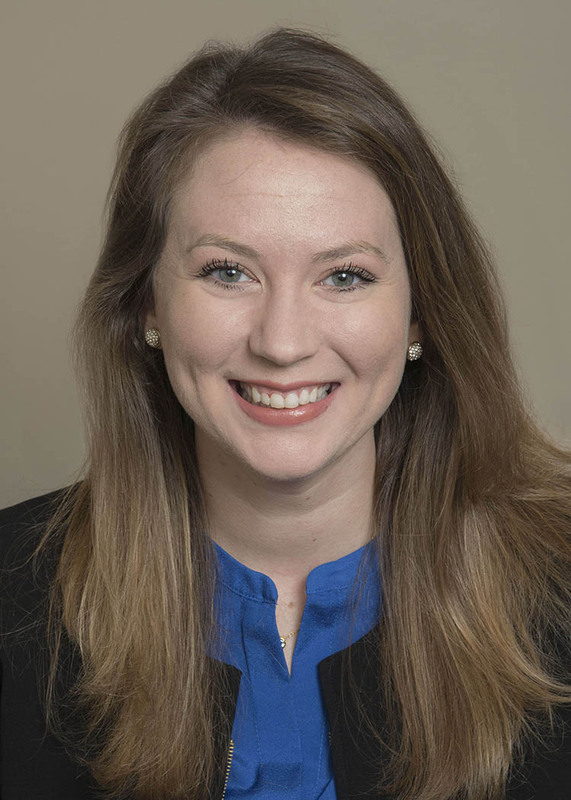 Prior to joining the team on the West Bank, Katy served as an Operations Administrative Fellow in the Baton Rouge Region for Ochsner Health System. She joined Ochsner in 2009 as an executive assistant for the Baton Rouge leadership team and was previously employed by LSU in athletics. Katy has participated in various LEAN projects, the Pursuit of Value initiative, and the development of the Baton Rouge Cancer Center during her time as a fellow. The fellowship allowed for networking with leadership to understand challenges and wins in healthcare as well as exposure to high-level strategic planning and leadership preparation for future roles. She is a native of New Orleans and a graduate of Loyola University where she earned a Bachelor’s in Journalism and Spanish. She also holds a Masters in Business Administration from Louisiana State University. Stephen Pepitone graduated from Louisiana State University with a bachelor’s in Business Administration and a minor in Mathematics. While working for Florida Parishes Bank in Hammond, LA, he earned a MBA with a concentration in Healthcare Administration. He joined Ochsner Health System as a Finance Administrative Fellow in January 2011 and is currently the AVP of Patient Throughput and Capacity Management. In his current role, he is responsible for the strategic growth and execution of all activities related to patient throughput at Ochsner's 565 bed main campus which exceeds 28,000 inpatient discharges annually. Responsible for the oversight of Flight Care, Regional Referral Center (>10,000 transfers/yr), EVS, Hospital Supervisors, In-house staffing pool, Patient Transport, Skilled Nursing Facility, Hospital Call Center, Facility Service Center, Valet, Linen, and Print and Mail/Copy Center. Also serve as the Ochsner Medical Center liaison to Inpatient Rehab, BioMed, and EMS transportation. 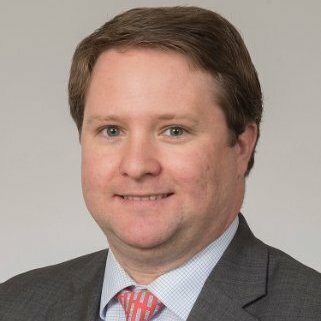 His past roles at Ochsner have included Manager of Financial Operations- OMC Jeff Hwy and Director of Finance System Partnerships & Integration. Emily Wiltenmuth graduated from The University of North Georgia with a Bachelor of Science degree in Business Management in 2000. 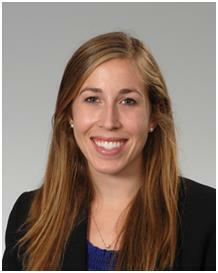 Upon graduation, Emily moved to Atlanta and worked in the health care sales industry. In 2005, Emily moved to New Orleans and began working with Ochsner Health System. In 2007, Emily completed her Master’s in Health Care Management from The University of New Orleans. Upon graduation, Emily became one of two Administrative Fellows at Ochsner Health System. Emily is now an Assistant Vice President at Ochsner Medical Center, responsible for the Neuroscience Service Line. In the years leading up to her current role, Emily was responsible for operations in different capacities, spanning several different campuses. Specialties included Cardiology, Gastroenterology, Rheumatology, Primary Care, the Endoscopy Lab and many others. 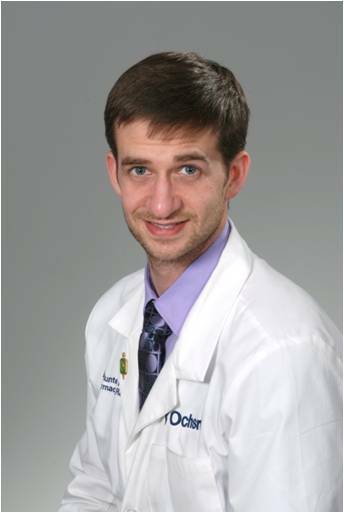 Chris currently serves as the Director for Primary Care and Allergy at OMC overseeing Primary Care clinics on the Southshore and Allergy Clinics on the Southshore, Northshore, and Westbank. 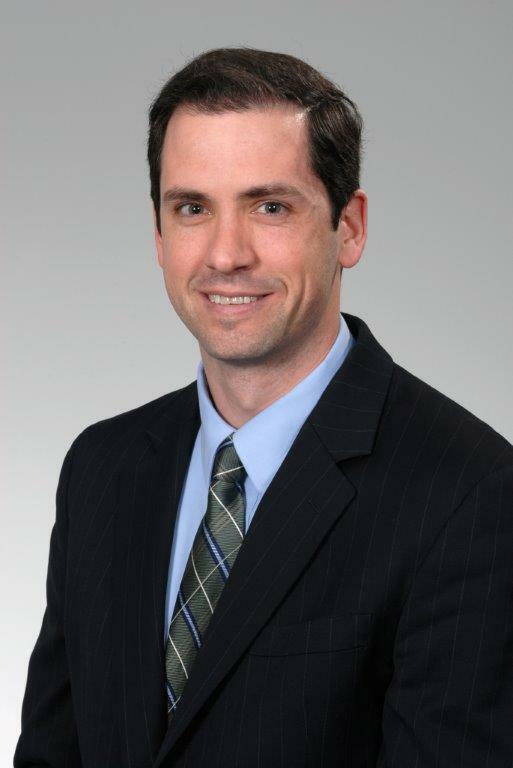 Prior to his role as Director, Chris served as the Manager for Primary Care and Hospital Medicine at OMC. 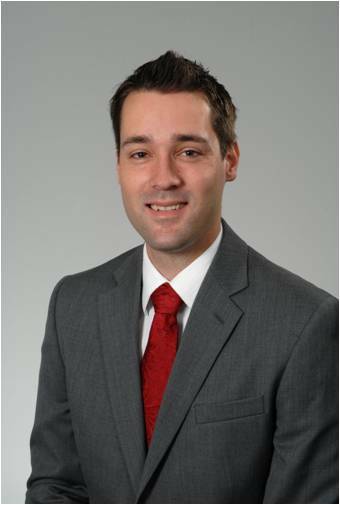 Chris completed his Administrative Fellowship in Operations in 2010, spending the entirety at OMC – Kenner. He holds a Masters in Healthcare Administration from The Ohio State University and a Bachelors of Business Administration in Finance from Kent State University. In between graduate and undergraduate schools, he served as a Leadership Consultant for Delta Tau Delta Fraternity. Chris is a native of Tallmadge, Ohio, and enjoys golf and spending time with his family during his free time. Amy Chauffe is a New Orleans native, graduating LSU with a Bachelor of Arts in Mass Communications with a concentration in Advertising. After college, she worked at Memorial Baptist Medical Center while pursuing her Master of Science in Healthcare Management at the University of New Orleans. In 2006, she joined Ochsner Clinic as an operations fellow and worked with the executive leadership team during the expansion of the Ochsner Clinic into Ochsner Health System through the acquisition of 3 local hospitals. 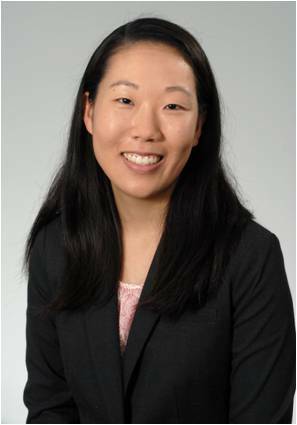 Amy served in an interim leadership role in Pediatrics during the fellowship. She has lead the departments of Orthopedics, Neurosurgery, Urology, Colon and Rectal Surgery, Pain Management, Rheumatology and ENT. Through her work, she has overseen the development of the Pain Management Center, Spine Center and the Sports Medicine Institute. 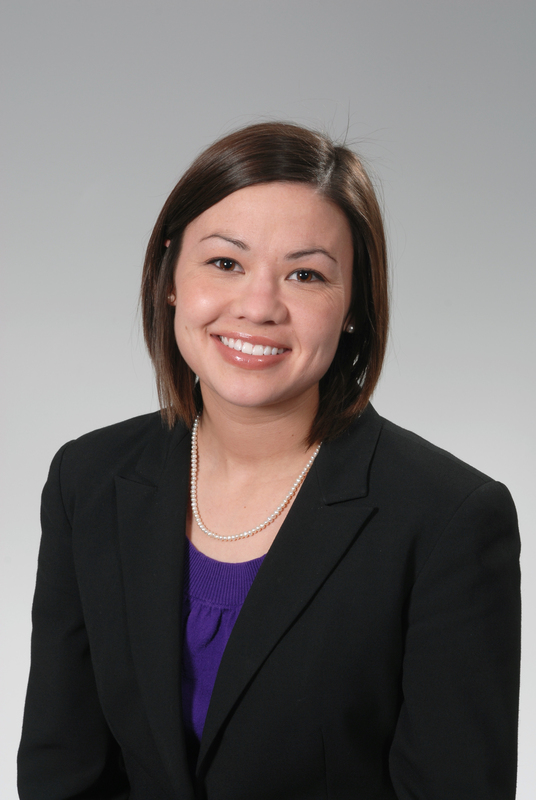 Amy is currently the Director of Surgical Specialties at Ochsner Medical Center. Katy Coleman received a Bachelor of Business Administration in Finance from Texas A&M University and a Master of Health Administration from Texas A&M Health Science Center. Katy’s first introduction to Ochsner Health System came when she completed her Graduate Practicum at Ochsner Medical Center- Northshore in the summer of 2011. Upon graduation in July of 2012, Katy joined Ochsner in a full time role as an Operations Administrative Fellow in the New Orleans region. 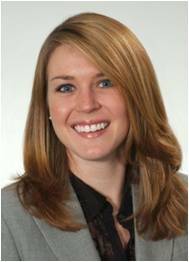 During the course of the Fellowship, Katy worked for the corporate executive team on various projects within the Office of Strategy management and served as interim manager for several specialty clinics. Upon completion of the fellowship, she assumed the role of Clinic Operations Manager for the Departments of Ophthalmology, Optometry and ENT. 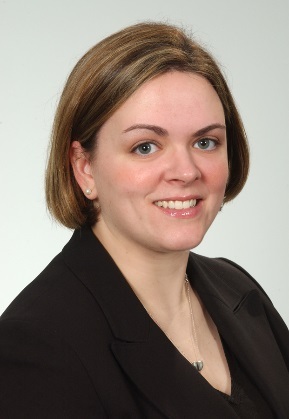 In 2015, Katy joined the Project Management Office as a Strategic Program Manager where she led system-wide strategic initiatives involving project management, change management, and process improvement core capabilities. Her programs included supply chain optimization, care pathways implementation, inpatient telemedicine and direct-to-consumer Telehealth. Most recently, Katy returned to the Office of Strategy Management as the Director of Strategic Operations. In this role, she is responsible for supporting the system COO and CMO in their operating rhythm, communications, strategic planning, and key executive-sponsored initiatives. “The Fellowship allowed me to learn and gain exposure to parts of the organization, and healthcare as a whole, that I would never have had the opportunity to experience otherwise. Education is at the roots of our organization, and at every step along the way I encountered leaders who were eager to teach me, push me to try new things, and help me grow both personally and professionally." Greg is the Director of Operations for Ochsner Accountable Care Network (OACN), a 39,000 beneficiary ACO currently in track 1 that is moving to 1+ in 2018. Prior to joining OACN, Greg served as the director of operations for Ochsner’s clinically integrated network of over 1,300 community and employed physicians. Greg has also served as the clinical operations manager of Ochsner Neuroscience Institute during which time he co-authored a 3.87M CMS Innovations grant to redesign stroke care delivery at Ochsner. He received his BA from Penn State University, his MHA from Virginia Commonwealth University and he completed an administrative fellowship at Ochsner Health System. 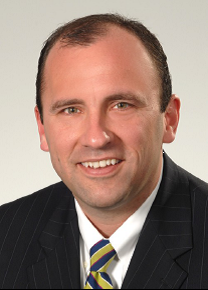 Eric DiZinno is a Director of Strategic Business operations at Ochsner. In his current role, he works on system level initiatives alongside executives and operational leaders to identify and address strategic financial issues, providing detailed analysis, data reporting, and financial modeling. He was formerly a manager in Ochsner Health System’s Project Management Office, primarily working on projects focusing on labor management efficiencies and corporate waste reduction issues. 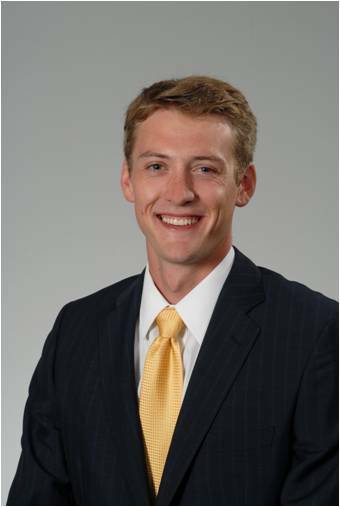 Eric also completed Ochsner’s Finance Administrative Fellowship, a 2 year leadership development and training program. While in the Fellowship, he worked on various assignments across the Ochsner System developing skills in consulting, analytics, project management and financial modeling. Prior to coming to Ochsner, Eric worked for 5 years for Lockheed Martin Space Systems on NASA’s External Tank Project as a Finance and Cost Analyst. He has a BA in Economics from Louisiana State University and an MBA with a concentration in Finance from the University of New Orleans. Originally from Lake Charles, LA, Laura graduated from Louisiana State University with a degree in Business Management receiving the University Medal for a 4.0 grade point average. Laura completed her MBA at Louisiana State University with a concentration in Finance. While at LSU, Laura competed for the track and field and cross country teams and holds the school records for the 5k and 10k. Laura is currently serving as a Director of Finance, where she is responsible for strategic planning, direction, and overall accountability for hospital and clinic finances. She also is an active lean greenbelt and coach. Tiffany was born and raised in New Orleans, Louisiana, where she earned both her undergraduate and graduate degrees from Loyola University of New Orleans. Her business management concentration as an undergraduate student piqued her interest in many aspects of business. She chose to stay at Loyola to earn her Master of Business Administration, graduating in the fall of 2010. While earning that degree, she completed the coursework necessary to sit for the CPA exam. As a certified public accountant for KPMG LLP, an international accounting and advisory firm, she developed a wide range of skills and gained knowledge about various business entities. 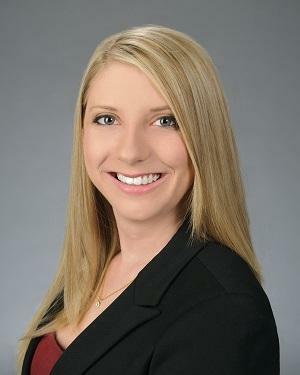 In the spring of 2013, Tiffany chose to leave public accounting and prepare to use her knowledge of business operations and finance in the healthcare field. 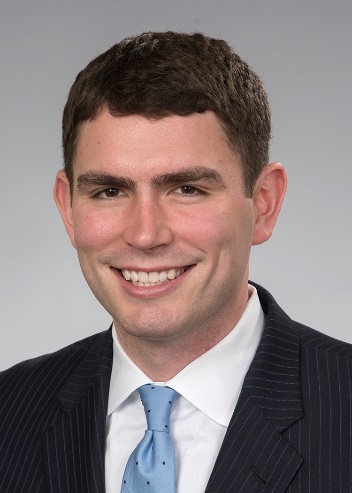 Originally from Cincinnati, OH, Andrew received his MSHA & MBA from the University of Alabama at Birmingham, and entered the Administrative Fellowship in 2014-2015 with a specific focus on organizational strategy and operations. Steve grew up in St. Louis, Missouri, and attended college at Creighton University. He then completed his MHA from the University of Minnesota. During his time as a fellow he worked with the corporate executive team and the CEO's of individual operating divisions on various project related work. After completing his fellowship he transitioned to a managerial role in cardiology over Ochsner’s Heart Failure/Transplant/VAD operations, Consultative Cardiology, and the Coumadin Clinic. After several years in that role, Steve was promoted to the director position over all of cardiology operations at Ochsner Medical Center. Chris Matthews is a Director of Hospital Medicine at Ochsner Medical Center – Westbank. In his current role, he is responsible for the strategic planning, direction and overall accountability for the Hospital Medicine department, which is comprised of the general medicine and specialized inpatient, observation and post-acute provider practice areas. His previous roles Director and Manager of Supply Chain at Ochsner Medical Center - West Bank gave him the opportunity to work alongside executives and operational leaders to develop, implement, and monitor strategies for supply cost reduction and utilization management in all activities related to the operations of Supply Management, Inventory Control, and Receiving for OMC-West Bank. 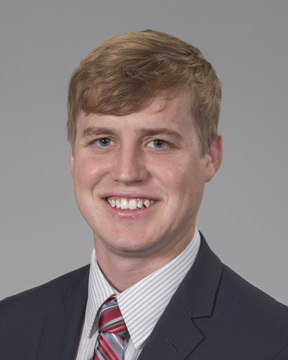 While in Ochsner’s Finance Fellowship, he had the opportunity to work on various projects across the Ochsner System which helped him develop skills in critical problem solving, financial modeling, and project implementation. 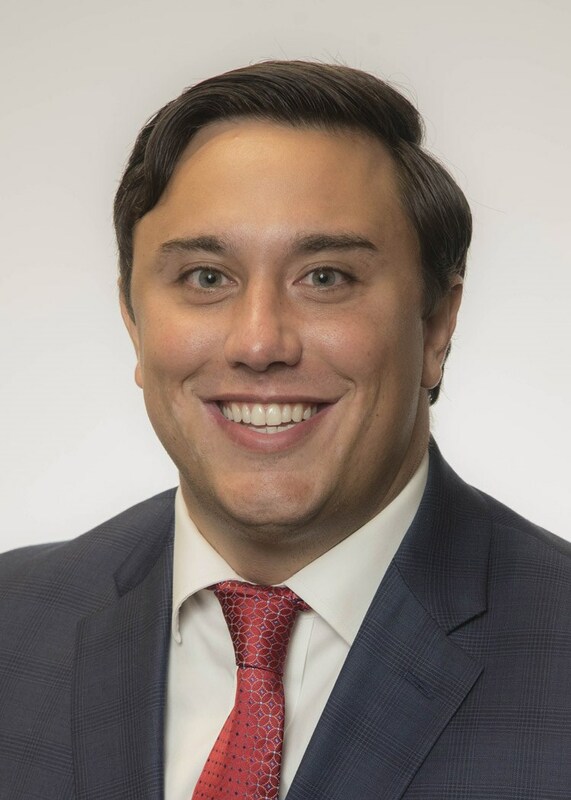 Before joining Ochsner, Chris worked for 2 years at the Louisiana State Treasury's Bond Commission, where he conducted valuations on municipal entities seeking to enter the bond market and their ability to meet their bond covenants. He has a B.S. in Economics from Louisiana State University and an MBA with a concentration in Finance from Millsaps College. Lilly graduated with a B.S. in engineering from the Franklin W. Olin College of Engineering. Her concentration was in bioengineering and for her senior capstone project she worked with a team to redesign a medical device used in endoscopic surgeries. Lilly recently graduated with an M.S. in engineering management from Florida International University. 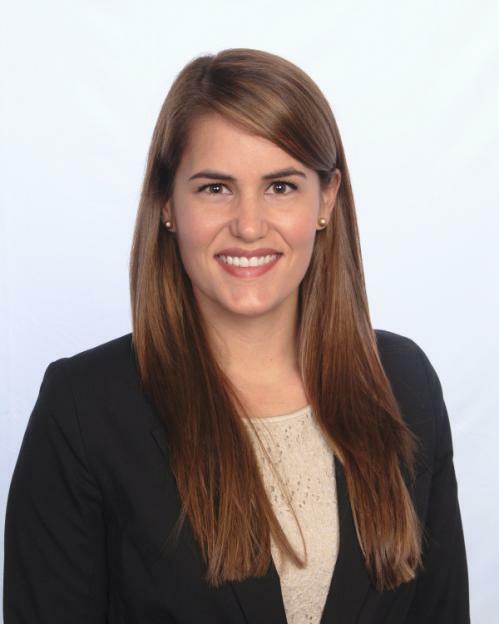 While pursuing her master’s degree, she interned at Camillus Health Concern in Miami. She developed spending projections, diagrammed operations and finance processes, and analyzed financial data to determine the most efficient ways to support the clinic’s mission of providing healthcare to the homeless population. This experience influenced her decision to enter the healthcare industry. 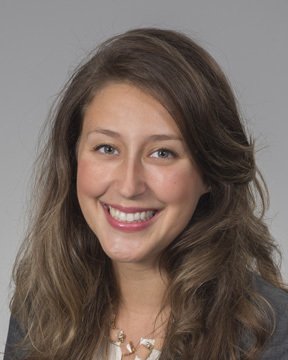 Lilly previously worked as an automotive safety researcher at George Washington University, performing modeling and simulation with the goal of mitigating injuries in automotive crashes. In her spare time, she stays involved with her local community by teaching ESL classes and working with her church youth group. 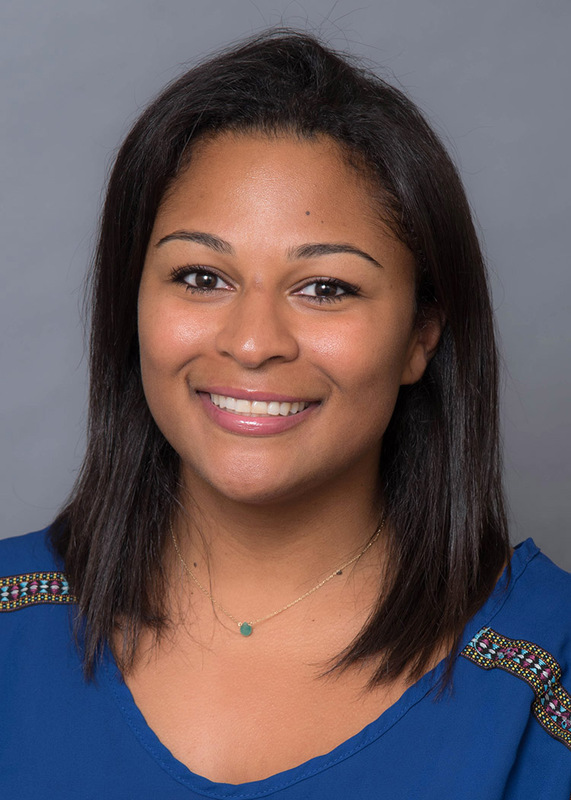 Ashley Weber received her Bachelor of Science in Psychology from Millsaps College and a Masters in Health Administration from Tulane University in 2008. 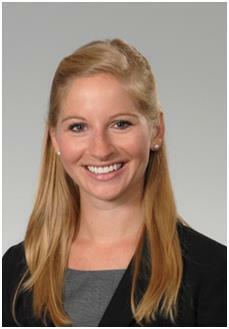 Ashley joined Ochsner Health System in July 2008 as an Administrative Fellow in the New Orleans region. During the course of the Fellowship, Ashley worked at OMC – Kenner, OMC and the corporate executive team on various projects within the Office of Strategy management. 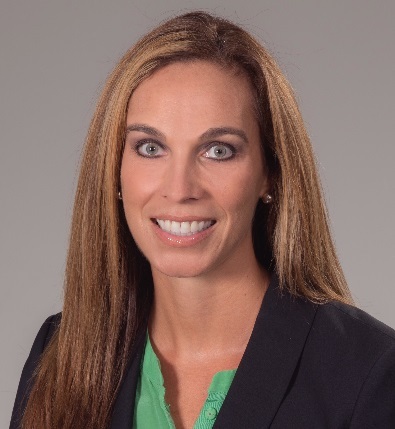 Upon completion of the Administrative Fellowship in 2010, Ashley accepted a full time role as the Manager of Operations in the Ochsner Sports Medicine Institute and Primary Care. 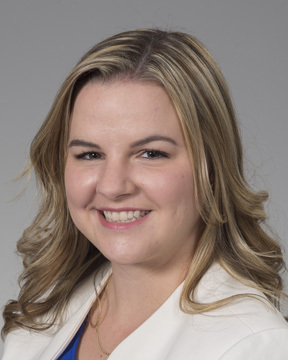 In 2012, Ashley joined the Information Services division on the Physician Academy team specializing in electronic medical record education and support. Over the course of 5 years, Ashley has led her team in various system wide initiatives, projects and deployments. Her projects include specialty optimizations, partner Epic go lives, care pathways implementation, and the opioid stewardship initiative. Most recently, Ashley has taken on Ochsner Epic Training department which is responsible for training all Ochsner Health System new employees as well as partner site employees. Originally from New Iberia, Louisiana, Frances moved to New Orleans to pursue a Bachelor of Science in Nursing from LSU Health. After receiving her nursing degree and licensure in May 2011, she began working in the Emergency Department at Ochsner Baptist. Frances continued to work in the Emergency Department while pursuing an MBA from the University of New Orleans. Soon after graduating from her MBA program in May 2015, she began Ochsner’s Administrative Fellowship at the Northshore campus. 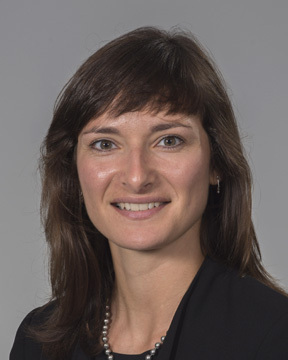 In completing her fellowship, she accepted a position on the Northshore as a Clinic Manager of Urology, Nephrology, and Pain Management in Covington and of Neurology and Neurosurgery for the region. Frances has gained valuable experience in her current role throughout the past year and with this experience, she continuously strives to enhance the patient experience at Ochsner. Originally from Montreal, Canada, Charlotte completed her Masters of Science in Management from the London School of Economics where she studied organizational innovation and excellence. At the beginning of her career, she gained valuable experience as a management consultant working in project management and strategy across industries. When she relocated to New Orleans, Charlotte was inspired by entrepreneurship and worked as Operations Director of a startup, before working with a non-profit committed to fostering entrepreneurial talent in the region. Having passion for both business and mission-driven work, she is intent on building a career in healthcare where she can contribute to a dynamic industry while having a positive impact on her adopted community. 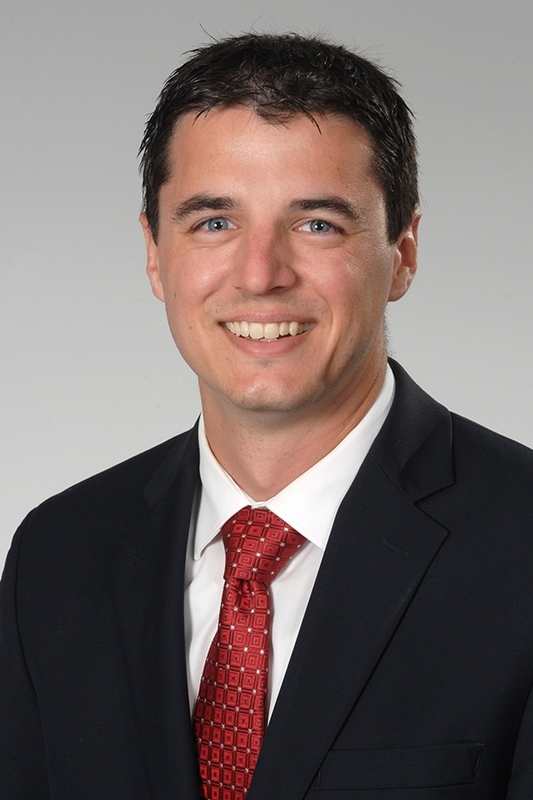 Born and raised in Watertown, New York, Dr. Neil Hunter is a graduate of Union University in Jackson, Tennessee where he earned a Doctor of Pharmacy degree. After graduation, Dr. Hunter then went on to pursue further training by completing the Pharmacy Residency at Ochsner Medical Center. The Ochsner Pharmacy Residency is an intense twelve month program designed to develop clinical pharmacy skills by providing exposure to diverse training in a variety of pharmacy practice areas. In the upcoming year, Dr. Hunter is excited to continue his career at Ochsner as the first Health-System Administration Pharmacy resident. As he embarks on this journey, Dr. Hunter hopes to use his clinical and leadership skill set to actively participate in clinical pharmacy and pharmacy operations oversight, as well as medication safety and policy development. In his free time, Dr. Hunter enjoys playing baseball, boating, cooking and spending time with family and friends. Wes was born in Cincinnati, OH and spent the majority of his pre-professional life in that area of the Midwest. He graduated with his bachelor’s degree in Biology from the University of Louisville in 2011 and immediately started work as a clinical lab processor. Soon after, he chose to continue his education and pursue a career in healthcare administration at Xavier University. Wes graduated with his master’s degree in Health Services Administration from Xavier University after finishing his administrative operations fellowship with Ochsner in 2015. After the fellowship, Wes accepted a project management role focused on Lean-Six Sigma process improvement. Brittainy graduated from Florida State University in May 2011 with her degree in Accounting and Finance. Brittainy moved to Atlanta, Georgia in 2013 to attend Georgia State University’s Graduate Program and graduated in December 2014 with her Master of Business Administration. She earned her Master of Health Administration degree in May 2015 after completing an administrative internship at the Blood and Marrow Transplant Group of Georgia. Auburn University Originally from McComb, Mississippi, Alex graduated from Auburn University with a bachelor’s degree in public administration. He went on to earn a master’s degree from Auburn University. Alex received a master’s degree in public administration with a concentration in nonprofit management with an emphasis in nonprofit healthcare administration. While being a student at Auburn University, Alex was fortunate to work as an administrative intern with Southwest Mississippi Regional Medical Center (SMRMC). As an Intern, Alex worked with SMRMC’s Laboratory, Materials Management, Pharmacy, Quality Management, Radiology, Chief Financial Officer, Chief Operating Officer, and Chief Executive Officer. 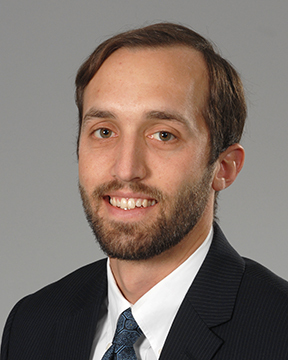 As an Administrative Fellow with Ochsner Health System, Alex worked on numerous projects that prepared him for his current role as the Pediatrics Subspecialty Manager. health and pharmaceutical client accounts, and with Columbia University Medical Center’s Department of Dermatology focusing on process improvement and marketing outreach. After completing her fellowship, Christi accepted a role focused on implementing consumerism-related initiatives throughout Ochsner. Jlynn serves as the Manager of Nursing Strategy for Ochsner’s Health system. In her current role, she manages key system nursing projects and assists the System CNO in execution of organization’s nursing strategic plan. Her main focus is nursing retention, nursing turnover, nursing fatigue, and easing practice for nursing staff. Originally from Marrero, Louisiana, Jlynn started her nursing journey as a Certified Nursing Assistant (CNA) in 2003 and progressed to become a Licensed Practical Nurse (LPN) in 2005. Filled with an insistent appetite for continuously learning, she continued on to obtain licensure as a Registered Nurse in 2009 and a Master’s of Science in Nursing Administration from the University of North Carolina at Chapel Hill in 2017. In 2017, she joined Ochsner as a Nursing Administrative Fellow. Jlynn is an active member of AONE, ANA, and LSNA. During her downtime she enjoys spending time with family and friends, traveling, reading, and to cheer on her favorite football team, the New Orleans Saints. Leigh earned a B.S. in Neuroscience with a minor in French from Tulane University. She was recognized as a Tulane Founder’s Fellow for her community service and academic leadership. Upon graduation, she taught high school science in New Orleans for 2.5 years until she returned to Tulane University in 2015 to pursue a Master of Finance with an Energy Specialization. 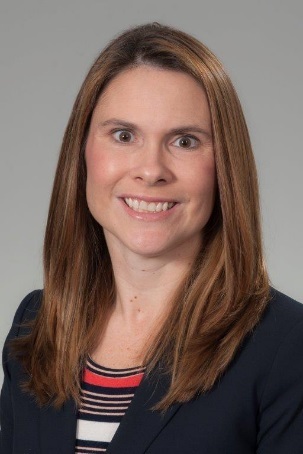 In her youth, Leigh received state-wide recognition for her volunteer work at the Sierra Nevada Veterans Affairs Medical Center, so she was excited to implement her finance education and return to her roots in healthcare by joining the Ochsner Administrative Finance Fellowship. After enjoying numerous rotations and projects throughout OHS, Leigh found a home in Physician Accounting & Compensation. 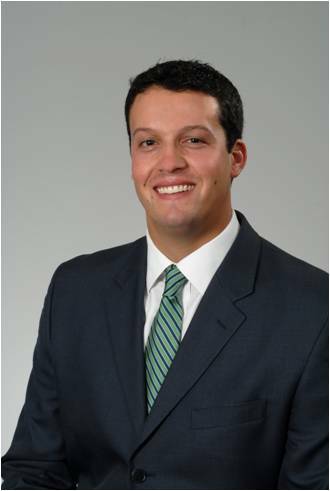 Matthew is originally from Friendswood, Texas and graduated from Louisiana State University with a B.S. in International Trade & Finance in 2014. He completed his M.B.A. specializing in Energy and Supply Chain Management, graduating from the LSU Flores M.B.A. program in May 2016. In his position as the Fiscal Graduate Assistant for LSU Student Media, he was responsible for monitoring the day-to-day operations of the Advertising Department and the eight sources of media run within LSU Student Media. Working as the Asset Management Intern for NRG, He performed market research to expand the EVGo charging infrastructure. Research he provided allowed the NRG South Central team to advance in the expansion process. During the Administrative Fellowship, he has continued to develop his business acumen through project work and participating in various leadership training programs. In his free time, Matthew enjoys spending time with family and friends, playing sports, hiking, traveling, and watching sports, particularly the LSU Tigers. A native of Kenner, Louisiana, Steven graduated from LSU in December 2010 with a B.S. in Mathematics, and has completed his M.B.A. with concentrations in Finance and Analytics in May of this year. After completing his undergraduate degree, he worked for Enterprise Rent-A-Car where he helped to build meaningful, beneficial relationships with key customer accounts. His work there led to record-high customer satisfaction scores and facilitated branch operations. More recently, Steven has analyzed customer data for Austin Energy to determine effectiveness of solar panel financial incentive programs. The results of his work will be used in the design of their next solar power program. 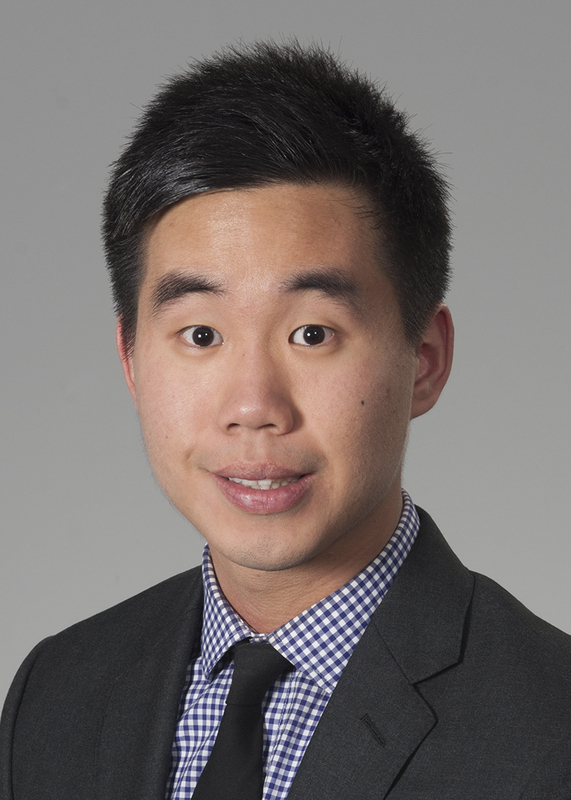 Originally from Seoul, Korea, John lived in Vancouver, Canada for 6 years before moving to Philadelphia, PA. He earned both his Bachelor of Science degree in Pharmaceutical and Healthcare Studies and Doctor of Pharmacy degree from the Philadelphia College of Pharmacy. After graduation, John moved to New Orleans to pursue further training as a PGY-1 pharmacy resident at Ochsner. The pharmacy residency program at Ochsner is designed to develop clinical practice skills by providing exposure to a clinical environment that offers diverse training in a variety of pharmacy practice areas. Throughout the year, John developed clinical expertise and acquired insights to hospital pharmacy operations. John is very excited to continue his career at Ochsner as a Health-System Administration Pharmacy resident. He plans to utilize his clinical knowledge and direct patient care experience to be an active member of the administrative team. 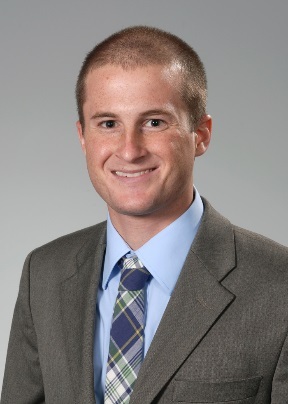 Outside of residency, John enjoys playing soccer, traveling to new countries, and exploring New Orleans. Robert was born and raised in Boca Raton, Florida. He attended the University of Tennessee at Martin where he received his undergraduate degree in Biology. During his last year of college, Rob’s love of science coupled with his knack for leadership led him to pursue a career in Healthcare Administration. In 2012, Robert enrolled at the University of North Carolina at Charlotte where he completed his Master of Health Administration. While attending graduate school Rob served as a Graduate Assistant to the Associate Director at the Student Health Center. His work experience focused on OSHA compliance, AAAHC standards, updating organization policies, and filing insurance claims. Rob also served as an intern to Premier Healthcare Alliance; where he assessed and resolved data anomalies in their hospital contracts. In his spare time Rob enjoys playing guitar, being physically active, and exploring new restaurants with his wife, Emily.